Simple and natural men's care products designed for conscious living. 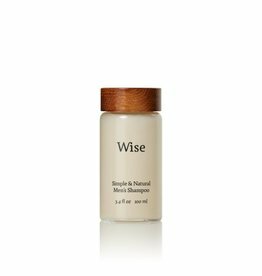 Wise caters to a new generation of conscious consumer; those who want thoughtful, carefully-sourced and natural personal care products down to the last ingredient and packaging detail. Artificial fragrances and colors, MEA, DEA or TEA, parabens, phthalates and sulfates will never be found in their products. Natural, healthy and cruelty-free ingredients will always be the core of their products. The only ingredient that hinders the vegan certification of their products is beeswax, an ingredient that they particularly enjoy for its moisturizing and protective properties.